Save the date for Friday, October 14th as we support families going through the journey in the Neonatal Intensive Care Unit. This journey can be long and difficult, but with your generosity on this special evening we will help more families than ever before. With the help of compassionate individuals and businesses like you, Eden’s Garden has been able to support families going through the journey in the Neonatal Intensive Care Unit. Make sure you have tickets for A Night in the Garden, Eden's Garden 4th Annual Fundraiser! Purchased on or before 10/1/16. Increased price for tickets purchased on or after 10/2/16. *Eden's Garden wine glass while supplies last. Unable to attend or looking for another way to get involved? Make a tax deductible contribution to Eden's Garden.  You can also donate an item or service for the Silent Auction. Eden's Garden is a 501(c)3 non-profit.